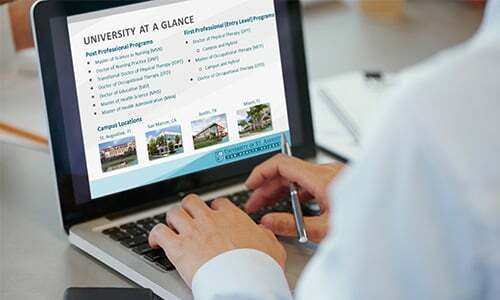 Join us online for our featured webinar to learn more about the University of St. Augustine’s Post Professional Doctor of Occupational Therapy (OTD) program. If you have any questions, please call the Admissions office at (800) 241-1027. We look forward to speaking with you! Complete the form below to register for this webinar. All sessions begin at 7:00 p.m. Eastern/4:00 p.m. Pacific.